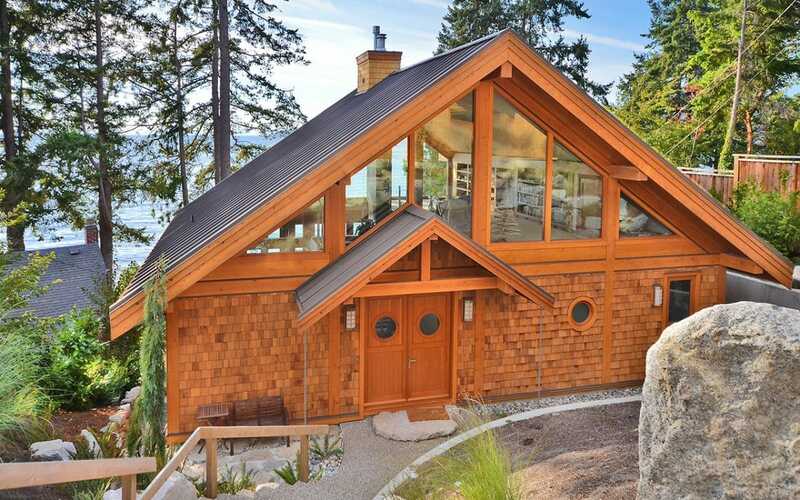 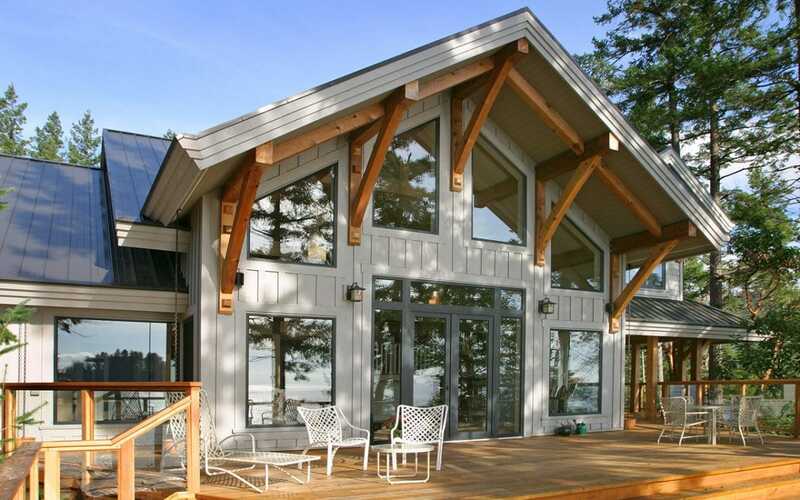 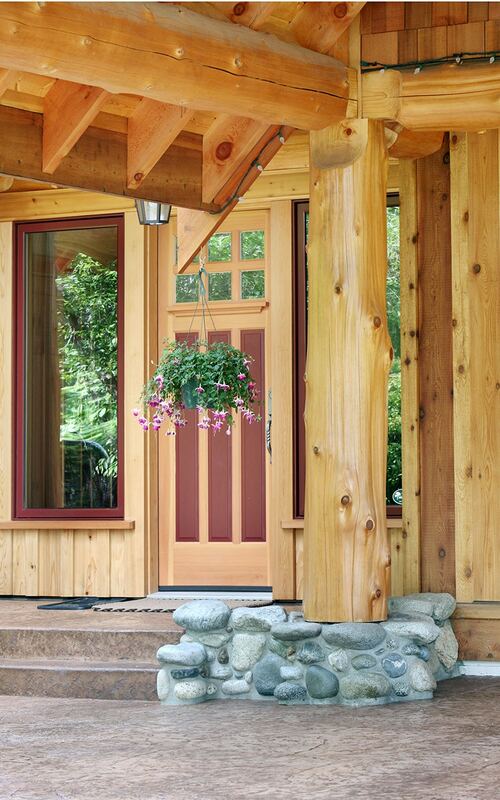 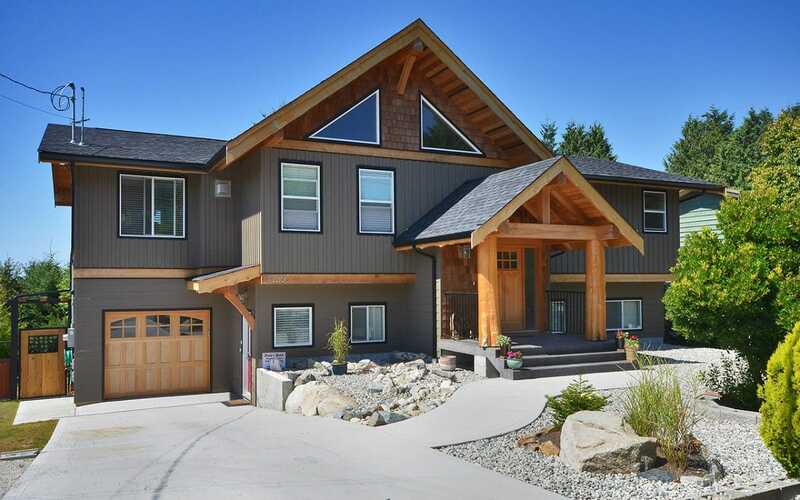 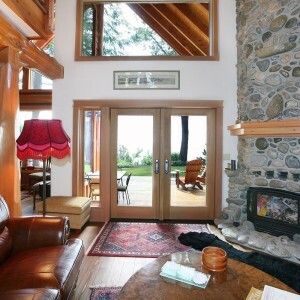 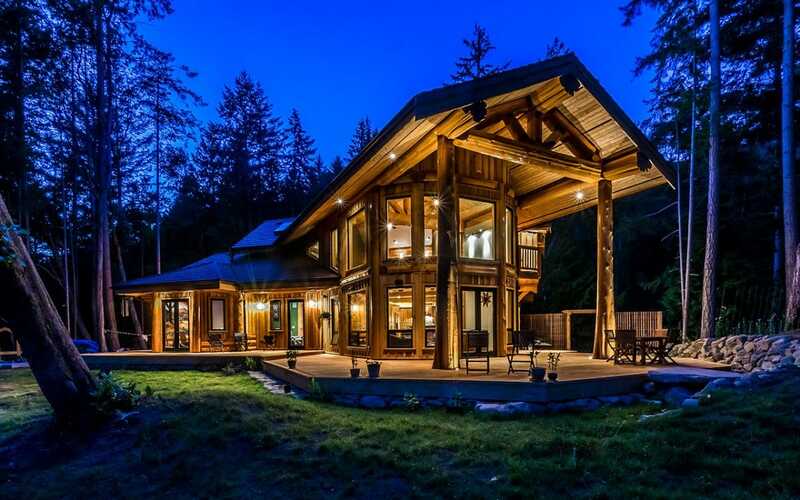 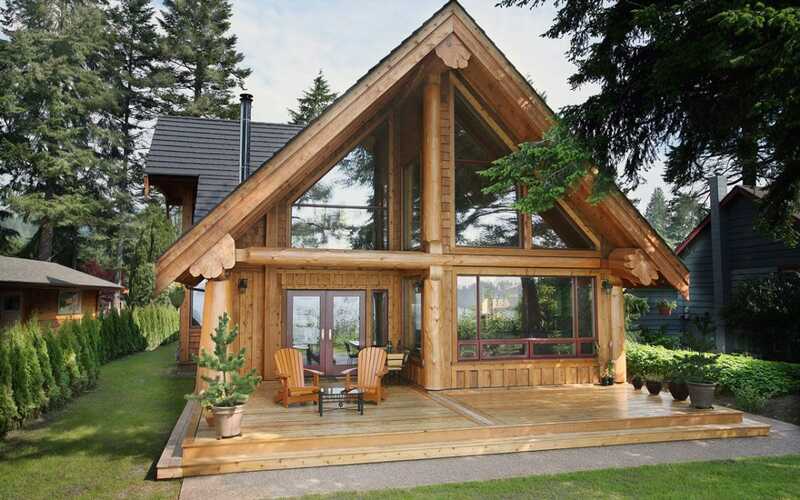 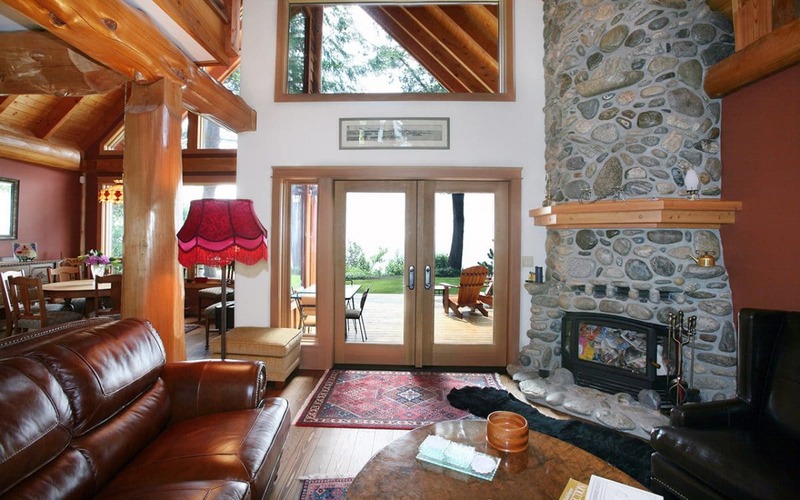 This smaller home is located along the waterfront in the town of Gibsons, BC. 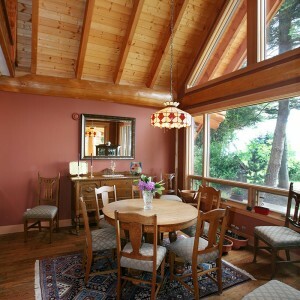 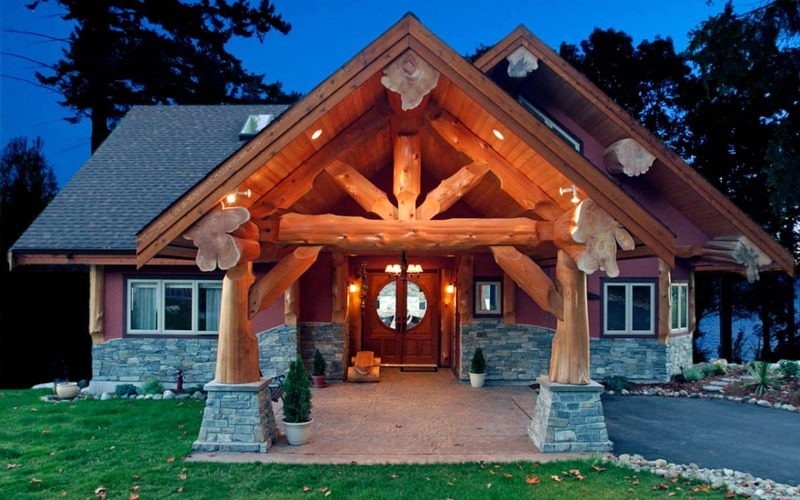 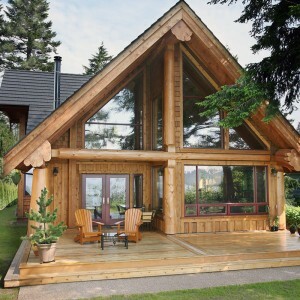 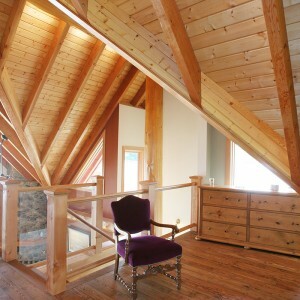 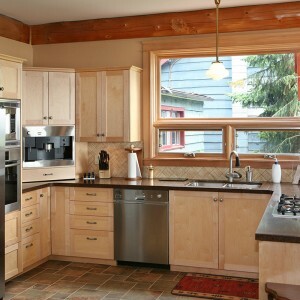 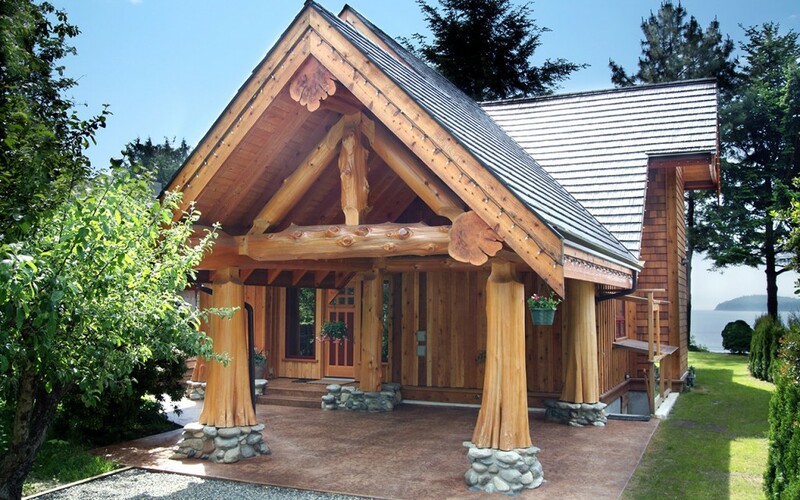 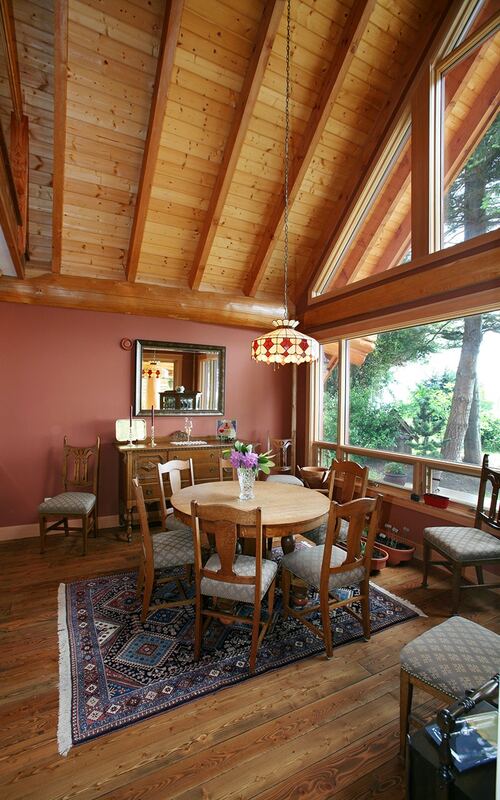 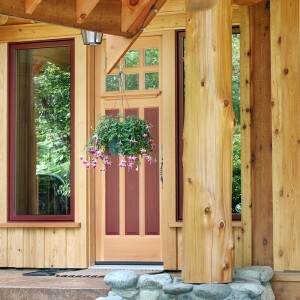 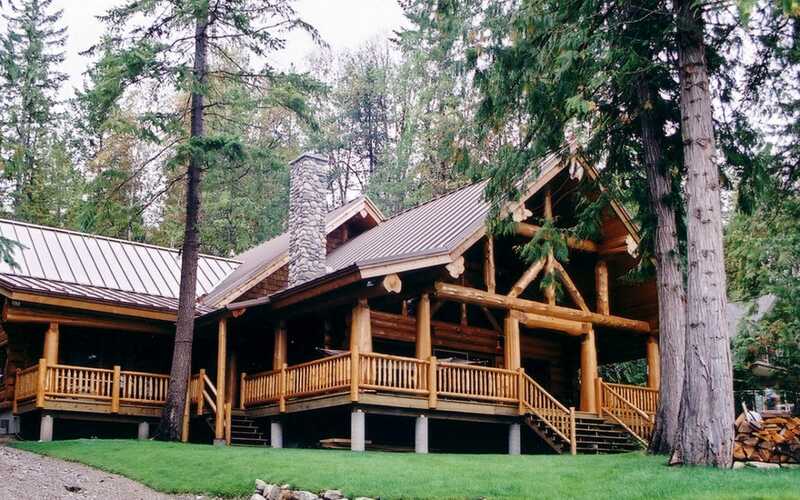 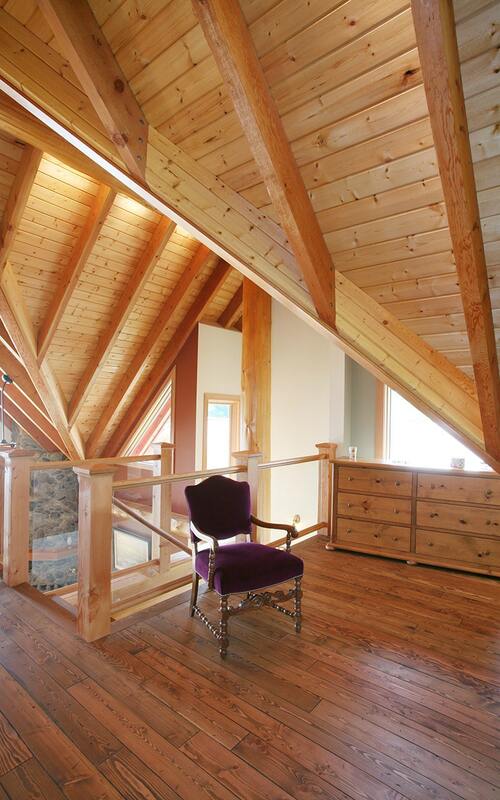 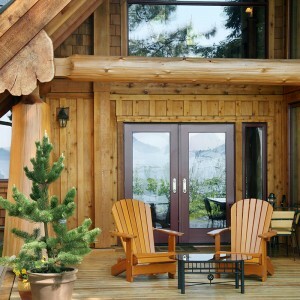 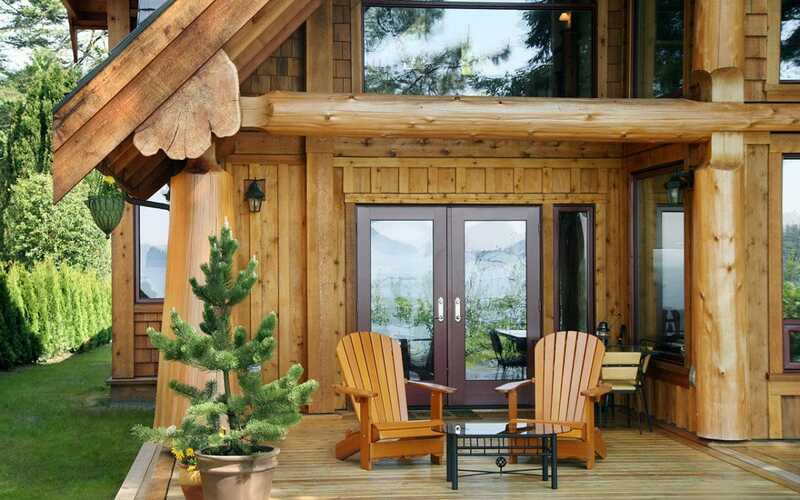 It is an excellent example of the variety of home styles and configurations West Coast Log Homes can create. 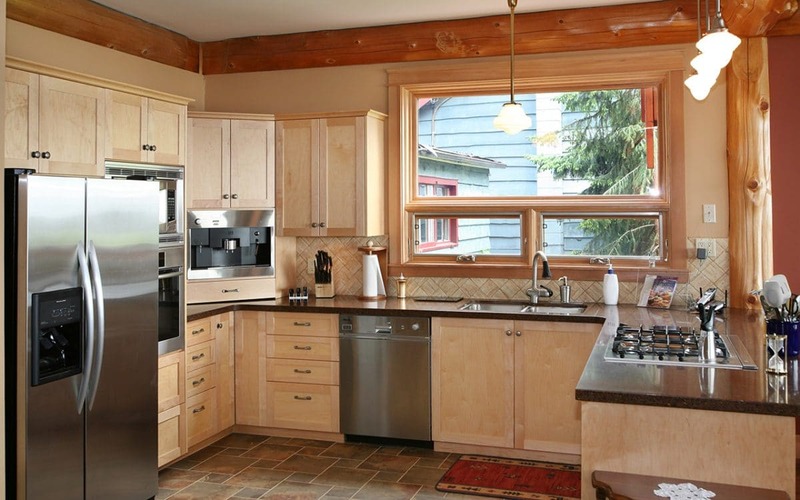 This home features two bedrooms and a basement suite . What would ordinarily be a plain car port is transformed into a centrepiece with flared cedar posts.